Hannah Charmans geography might be a bit suspect but there is no questioning her love for the area and devotion to the human spirit. We caught up with Hannah and asked her to explain her new venture and what brought her to Telford. I’d always loved the look of Ironbridge from the photos I’d seen and things on the TV, but for some reason I’d thought it was somewhere in Herefordshire, near the Forest of Dean! The Greenwood Centre, home to The Wood Sorrell Clinic, Ironbridge. It wasn’t until I was on my way home from there a few years ago, bitterly disappointed that I hadn’t found it, that I passed the signs on the M54, and a lifelong bond was formed. Fate then lead me to move to Telford 2 years ago so I could visit whenever I liked, and I did. Then I realised there was something missing. It needed a sanctuary where people could go and relax, maybe get a massage, try some reiki or even something like herbal medicine. I asked around and found nothing, until just before Christmas. 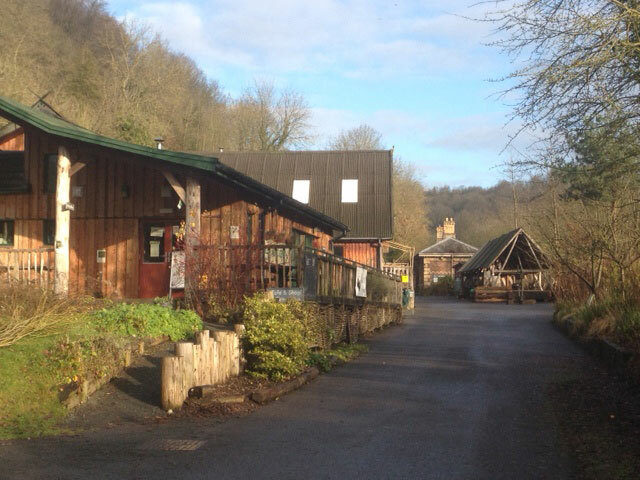 I spoke to the Green Wood Centre about running herbal medicine workshops from there, and ended up getting a tour of the whole site. The Small Woods conservation charity which owns the Green Wood Centre had a log cabin going spare and needed some help with fundraising. We hatched a plan for a quick but impressive refurb and the new Wood Sorrell Clinic opens on Thursday 7th February. Rent paid by practitioners at the clinic all goes to the charity, and patients get their treatments in a cosy log cabin nestled in peaceful Shropshire woodland. We’ll be offering herbal medicine, reiki, and kinesiology, and more therapists will be joining us soon. Plus we will be holding free talks and drop in sessions and workshops throughout the year. To see what’s on, just like our Facebook page at The Wood Sorrell Clinic, or ring Hannah on 07763 595879.